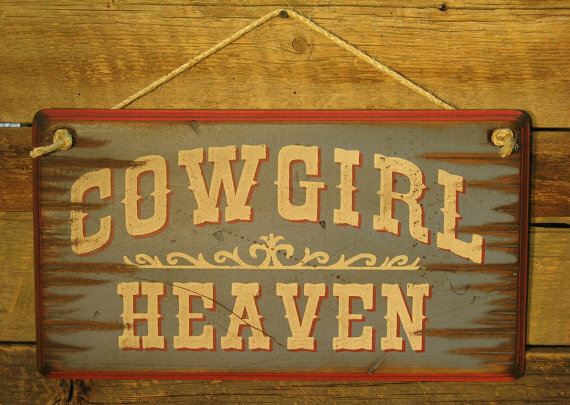 Cowgirl Heaven... Tell everyone just how you feel about your little piece of "heaven." This light blue sign has a red edge and measures 11x20 and comes with the grass rope hanger for easy hanging. Handcrafted with pride! !